No matter how settled we may get in any given city through all our years of moving around, there's nothing out there that will ever come close to replicating the sensation our childhood homes can bring. For most of us, the places we grew up as children serve as the starting point, the zeroth coordinate of our existence, the safe haven we can always retreat to when things go sour in life. That's precisely what David Hardwood does in Linwood Barclay's Broken Promise, only upon reuniting with his cousin in his childhood hometown of Promise Falls, New York, he founds it corrupted in ways that will test him to his very limits. More precisely, as he comes back he learns that his cousin Marla has been raising a child that is not her own, a baby she claims was left on her doorstep by an angel. Unfortunately, the child's real mother is soon found murdered, complicating the whole scenario a great deal and pushing David to unravel the bloody mystery that fell into his lap. Who is the child's mother? Why did she have to die? And who unleashed the ominous cloud of death and vengeance unto the town? At the forefront of a new wave of science-fiction novels, Peter Clines decided to push the boundaries of the current prevalent tropes in a very simple way: combining genres. More specifically, he decided to make a crossover of the zombie and superhero genres, which gave birth to the Ex-Heroes series. The original premise in it was very simple: what would it be like for low-powered heroes to try and rebuild society once the dead rise from below? 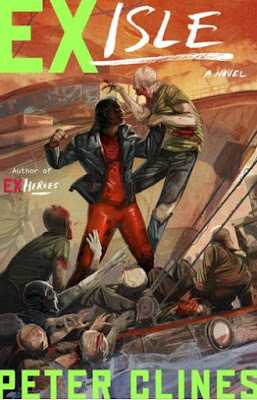 In Ex-Isle, Clines continues the storyline as our main heroes, Saint George, Zzzap, Corpse Girl and Cerberus find themselves in a precarious position with their food supplies destroyed. Their safe haven, The Mount, can't hope to survive for very long, and so the first three mentioned above set out on a rather strange and dangerous journey: to seek out a man-made island that recently appeared, made from fused ships and tankers. Needless to say, the citizens inhabiting the island are rather suspicious and don't take well to outsiders... especially since their leader is a half-insane superhero himself. Meanwhile, Cerberus stays behind, rebuilding her armour and struggling with her inner demons born from her incessant close brushes with death. 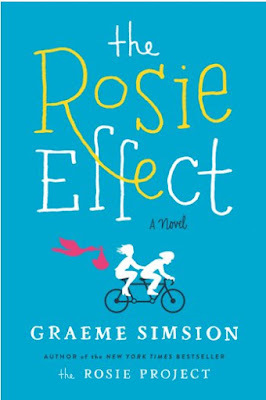 In his previous novel, The Rosie Project, Graeme Simsion introduced us to Don and Rosie and the hilariously charming adventures that finally brought them together. Needless to say, there are two stages in the lives of such couples: before and after marriage. Now that they are living together as husband and wife, in a different city, with different jobs, things have started to take on a different meaning... especially when Don learns that Rosie is pregnant. And so, such is the premise of The Rosie Effect: we get to see Don Tillman navigate through the countless lessons of life in his habitually unusual way, one that often leads to ridiculous results and situations that just pile on top of each other. We get to travel down the rabbit hole with him, trying to understand the direction his life is taking, Rosie's increased aloofness, what it means to be married, how relationships can deteriorate and such. Things are progressively made worse and worse (the type of situation Don has become an expert in), to the point where they say more lies than truths and eventually split into separate bedrooms. Of course, even with his Asperger's, Don isn't the type to give up, getting the help of his friends in winning Rosie back. Needless to say, with Don being at the helm of this ship, they all set sail into the waters of the hilariously ridiculous. The deep-buried past of which we can only catch glimpses has forever been a point of fascination for people; where there are blanks to fill, possibilities for the fantastic, grandiose and even surreal arise. We like to think that the closer we get, in terms of history, to the beginning of our society, the more meaningful and far-reaching are the intentions and actions of people. Societies that are mocked and ostracized today may very well have been of great importance and deserving of respect many years ago. Though we'll never know with certainty all the events and people that came before us, we'll certainly never stop weaving fantastic tales around what could have been, which is what Glen Craney does in The Virgin of the Wind Rose. The novel is a mystery thriller set in the modern day, but focused more on the events of the distant past that transpired more than six centuries ago. The discovery of an ancient tablet in Ethiopia eventually prompts Jaqueline – a young State Department lawyer who is there to investigate the murder of an American missionary – to veer off the course of her hunt to turn her attention to something completely different. And so, Jaqueline stumbles into two conspiracies that stretch all around the globe and go back numerous centuries... to the time of Christopher Columbus. 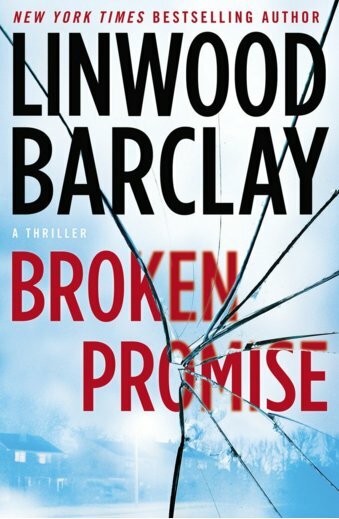 Along with the eventual help of a renowned global smuggler, Moses “Boz” D'Orville, the threads of mystery are untangled and it becomes increasingly obvious that the stakes for which they are playing are far bigger than they could have imagined... as they run one step behind a dangerous terrorist and killer. In the end, the real million-dollar-question is what's Christopher Columbus' true identity, and how the fate of the world is tied to his works. Time may be the one thing that will best us all in the end, but while we're here it could also be heralded as the one thing that prevents stagnation and boredom. With time things, places and people tend to change in one way or another, creating new experiences that keep things interesting. A lot can change in a country during a period of twenty years, and so Bill Bryson decided to revisit the United Kingdom two decades after his travels that ultimately led him to write Notes from a Small Island. The premise of this second visit is rather simple: take the two points furthest away from each other in the country, draw a line between them, and try to vaguely follow it while placing a greater focus on visiting the kinds of attractions most tourists won't go for. Along the way Bryson fills his pages with countless comments, witticisms, tirades, rants, observations, questions... all with his trademark sense of humour. The many laws and economic systems we have in place today are, in a certain sense, taken granted by most of us... at least in the sense that we trust them to have been developed properly and legally a long time ago when our country was founded. The idea of finding evidence that would prove a country has been built on illegalities and lies is one that could certainly hurt anyone, and that's precisely the kind of scenario Cotton Malone faces in Steve Berry's The Patriot Threat. The ex-elite intelligence operative-turned bookshop owner in Denmark is trying to enjoy his retirement, but of course that is not to be as his former boss, Stephanie Nelle, gets in touch with him to discuss a most serious matter: a rogue North Korean who may have files that could crumble the United States... files that prove the federal income tax is illegal. 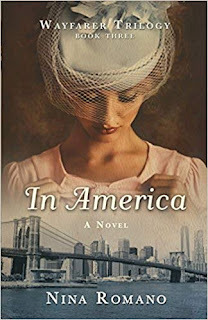 Needless to say, Malone doesn't miss a beat and sets out on his grandiose journey across Europe from the canals of Venice, along the way encountering (in one way or another) fascinating historical characters and mysteries, such as Franklin Roosevelt and his secret meeting with rival Andrew Mellon.